Origin of Manufacture - Italy. Material - Crystal Plant Solid Surface. 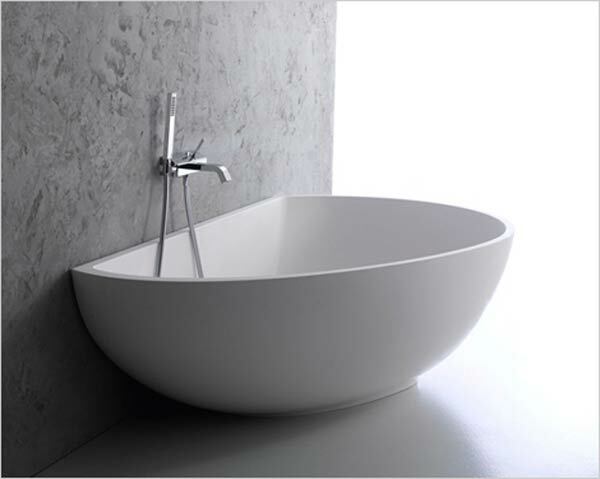 Launched in Australia at Grand Designs LIVE event in Sydney in October 2012 at the art of bathing by Minosa exhibition this stunning freestanding bath made by one of the up and coming Italian bathware companies is set to add a real touch of elegance and practicallity to any modern bathroom setting. 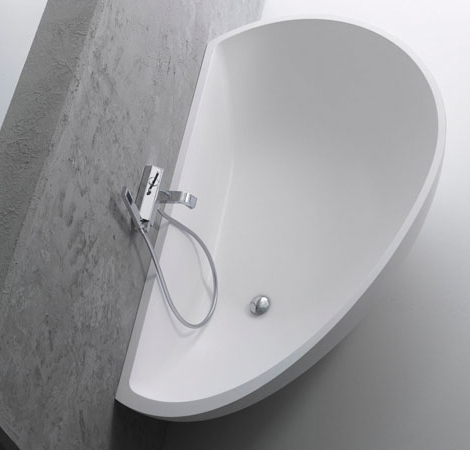 The elegant and striking Vanity freestanding bathtub by Mastella features a curvaceous, oval profile, yet is perfect for more restrictive spaces thanks to its straight, wall - edge design that allows it to fit up to the wall. A very practical feature also as you will never have to try and get in behind to clean. The is very limited stock and lead-times are 8 to 10 weeks (usually) call us on 02 8090 9039 for more accurate lead-times.